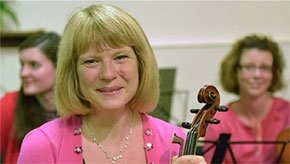 The Wharfedale Chamber Ensemble was formed in 2012 by Clare Richards who was keen to start a high quality string orchestra. 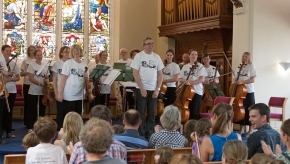 The ensemble draws players from the Wharfe Valley area and beyond. 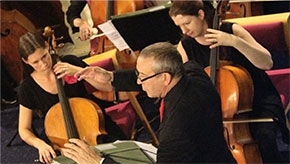 Some of our members also play with Airedale Symphony Orchestra, the Sinfonia of Leeds and Leeds Symphony Orchestra. We meet regularly throughout the year, about once a term , and rehearse in a fairly unusual way. Our orchestra is a family orientated orchestra. Read more about our team. Have a look at our events calendar for our family and formal concerts.